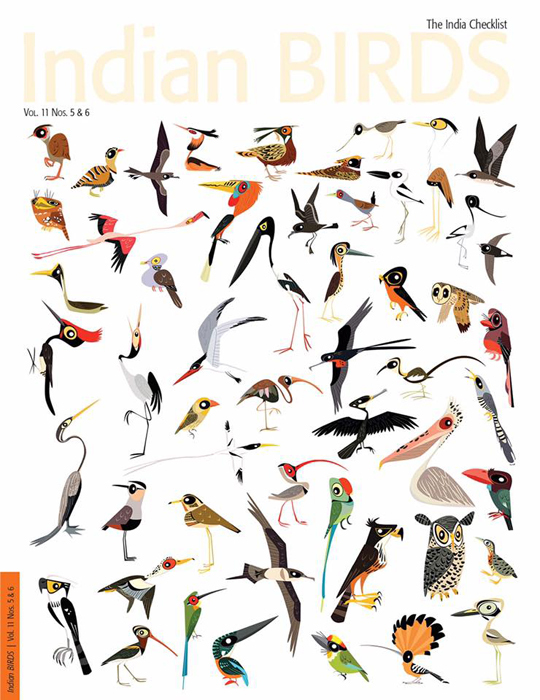 The issue can be purchased from the Indian Birds website http://www.indianbirds.in/. Copyrights to the images belong to the Indian Birds Journal. A big thanks to Mr. Aasheesh Pittie, the Editor of Indian Birds for commissioning me for this massive (both in terms of size and fun!) illustration.